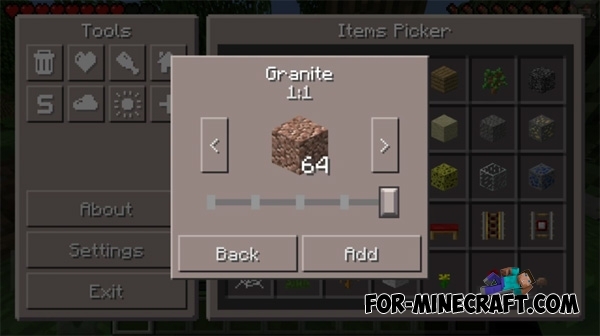 Pocket Manager Mod for Minecraft Pocket Edition is the best analogue of TooManyItems! 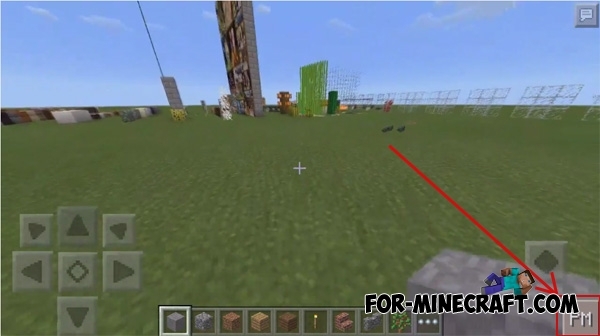 You will be able to control the time, change the mode of the game, weather and much more with this mod! But the most important Pocket Manager function is the ability to add necessary items and blocks to your inventory. When you install the mod and enter the game, the game may crash for a short time (about 20 seconds). You need to go into the world as soon as the error occurs. In the lower right corner you will see a button «PM» (opens mod interface). 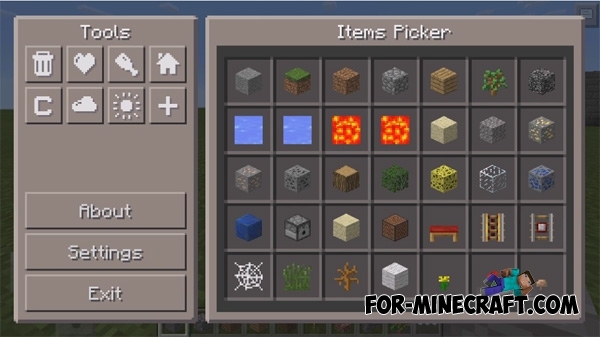 Now you can control the game process and add the items and blocks to your inventory. You have to click on its icon and then use the slider to select the amount (To get the item or block). Download the archive and unpack the mod. Open BlockLauncher and go to settings. 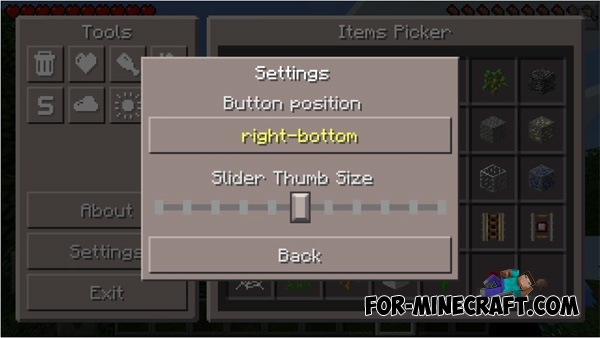 Select the "Texture Pack" section and click on the "Import". Find "Pocket Manager texture.zip" and click on the file to install. Go to «ModPE Script» section and click on the "Add". Find "main.js" script and click on it to install.